The EP, Afro Bongo is the much anticipated project which Harmonize has been working on for the past couple of weeks. 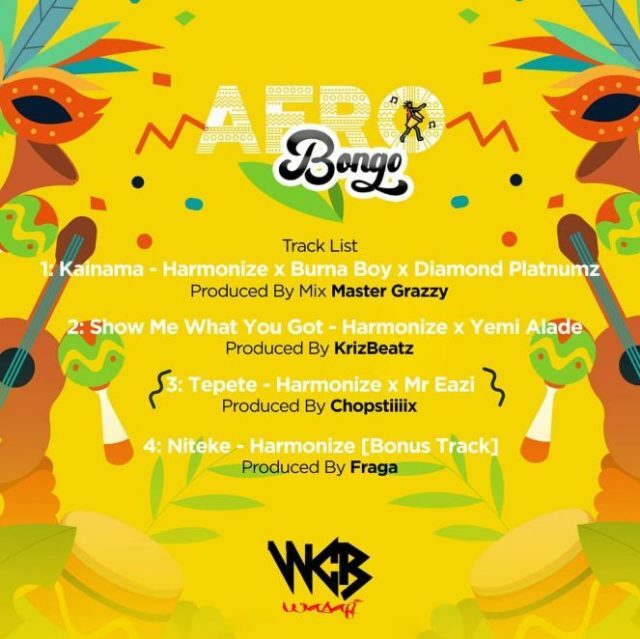 On the “Afro Bongo” EP features great minds like Burna Boy, Diamond Platnumz, Yemi Alade, and Mr. Eazi. The E.P is compiled with 4-tracks and was released through WCB Wasafi Record on February 24, 2019.